With a little help from us, the Oriners and Sefton team got their savanna project over the line in early 2015 (38,139 credits for 2012-14 – phew!) After some long days meeting the compliance deadline on 1 February 2015, we decided to head back to sit down with the project owners and build some systems and strategy for the future. Kowanyama is the main support community for the project and it’s an hour and a half by single propeller Cessna Caravan 208B from Cairns – plenty of time to contemplate the country and marvel at the Mitchell River delta. On the ground, we had just enough time to soak up the tropical intensity before a session with the rangers at the Kowanyama Aboriginal Land and Natural Resource Management Office. The community at Kowanyama fought a long time to get their land office and ranger program off the ground in 1990 – the first to do so in Cape York. A year later the local Aboriginal council bought the Oriners pastoral lease. The Sefton pastoral lease was purchased a little while later in 1996. In the last few years the ranger fellas have been building up their fire work on the ground, with some help from the Kunjen/Olgol traditional owners – burning the country in early dry season in June and July, to reduce the hot fires in the late dry season. Sometimes those lagoon areas take a long time to dry out and burn! We had a long chat about the fire management plan for 2015 and doing things in a way that makes it easier to show the program meets the requirements in the savanna burning methodology (and give the auditors an easier time!) In the coming year, the rangers also hope to upskill with more fire and savanna training. They are right on to it and they’ll be doing everything themselves in no time. We want to see our country healthy. Waterholes still with waterlily and lagoons healthy. We want to see our country looking beautiful. It would be good if the project can honour that. 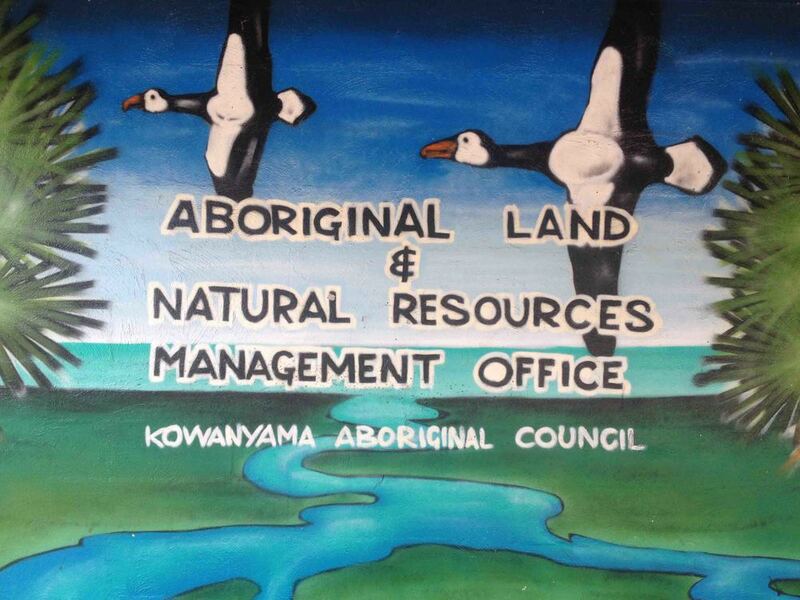 Many thanks to the Kowanyama Rangers and Chris Hannocks (Land & Sea Manager, Kowanyama Land Office), Viv Sinnamon (retired Land and Sea Manger, Kowanyama Land Office) and Emil Moul (CEO Kowanyama Aboriginal Shire Council) for hosting us. We hope we’ve helped with some building blocks for a successful program this year.